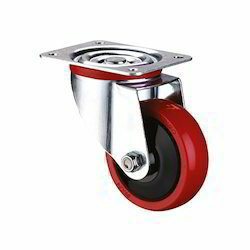 We are a leading Manufacturer of pu caster wheels, polyurethane caster wheels, polyurethane caster wheel with ci core, polyurethane caster wheel with taper roller bearing, polyurethane caster wheel with double ball bearing and can polypropylene caster wheels from Mumbai, India. We are counted amongst the top companies involved in offering a wide range of PU Caster Wheels. These are developed using best material and advanced technology to meet variegated preferences of our clients. These are highly acknowledged in market due to their high durability and reliability. Moreover, we assure timely delivery of our products. We have been engaged in offering our esteemed customers with an attractive and reliable range of Polyurethane Caster Wheel With CI Core. 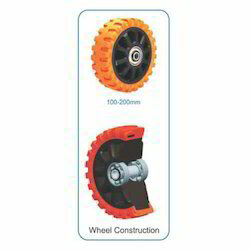 This Polyurethane Wheel with CI Core is appreciated among the customers due to its quality. Polyurethane Wheel with CI Core is widely used when controlling flow, roll ability, etc. With the assistance of experienced and dedicated professionals, we offer an extensive range of Polyurethane Caster Wheel With Taper Roller Bearing that is manufactured using quality assured raw components and latest technologies. Our entire product range is performance based and is delivered as per the required functional area. They have high load bearing capacity and are delivered at most affordable rates. 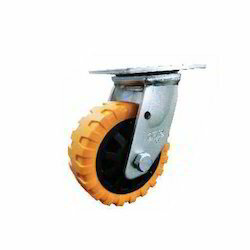 Having creative expertise, we have been offering a range of durable range of Polyurethane Caster Wheel With Double Ball Bearing. 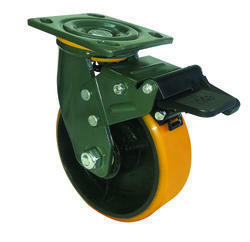 This Polyurethane Wheel with Double Ball Bearing is durable in nature. 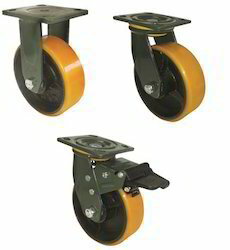 At reasonable rates, this Polyurethane Wheel with Double Ball Bearing is offered by us to customers across the country. We make stringent efforts to continuously improve and upgrade our processing process and offer an exclusive range of Can Polypropylene Caster Wheels in the market. These Can Caster Polypropylene Wheels are widely used on almost all surfaces. Our products are available in different sizes. We are amongst the leading names in the industry, offering an extensive range of Hi-Tech Polyurethane Caster Wheels that are manufactured using quality assured raw components and advanced technologies. Our entire product range has high tensile strength and is delivered in varied standard sizes. With the assistance of experienced professionals, we are able to deliver world-class range of products. 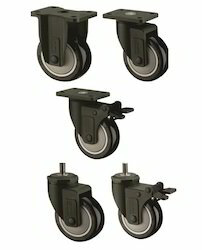 We are known to offer a range of highly attractive and economical range of Nylon Fork Polyurethane Caster Wheels. 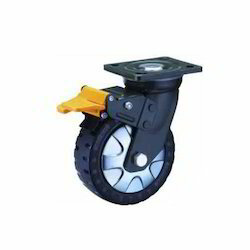 These Nylon Fork Polyurethane Wheels are provided by us in various sizes. The Nylon Fork Polyurethane Wheels is extensively used in warehouses, on loading docks to move incoming freight. 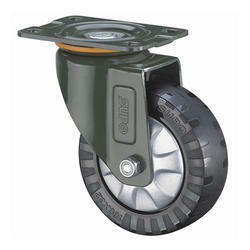 Looking for Polyurethane Caster Wheels ?